“Streamline.” “Optimize.” “Deep Dive.” These buzzwords are some of the worst offenders in terms of overuse and annoyance. But despite the eye-rolls they trigger from business professionals these days, they are actually pretty good words. For instance, at KANE, we pursue quality – and ultimately, perfection – by repeatedly analyzing every aspect of our operations (deep dive) to remove or adjust functions (streamline) in order to improve our processes (optimize), so that we perform at our best for our customers. How do we carry out these very real tasks? A big part of that has to do with the Six Sigma methods that are integral to our culture. Six Sigma is a data-based methodology that seeks to eliminate defects, improve processes, and reduce variations in any process. What About “Lean” Six Sigma Methods? 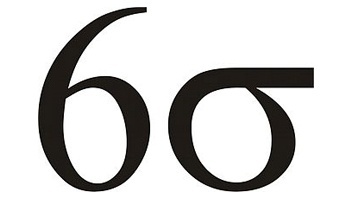 The term “Lean” is often used along with “Six Sigma” (i.e., “Lean Six Sigma methodology”). According to iSixSigma, the main difference between Lean and Six Sigma is that they identify the root cause of waste differently. Lean practitioners believe that waste comes from unnecessary steps in the production process that do not add value to the finished product, while Six Sigma proponents assert that waste results from variation within the process. Like many companies, KANE uses both Six Sigma and Lean Six Sigma methodologies – incorporating the best of both worlds, so to speak. And it serves us well. A huge part of our success is that we drink our own Kool-Aid. We continually make our company more efficient using the methods described above. Associates are trained and certified in Lean and Six Sigma methods and successfully apply them to KANE's business before seeking to improve yours. In our quality improvement efforts, we keep things simple. Our white paper, "How Lean is Lean?" reviews how the "lean" programs at many companies end up adding layers of bureaucracy instead of stripping away procedural waste. To make lean and Six Sigma programs work in logistics, you can't let your continuous improvement process get in the way of simply getting the work done. What does this all add up to? Efficiency. And what does efficiency mean? Less money wasted. Since 2012, KANE has documented bottom line savings of over $3 million from proactive quality improvement suggestions by KANE associates.